President Trump’s foreign economic policy aims to capture global market share for U.S. industry and enhance national power and influence. In the president’s eyes, the foundation of American power rests in large part on the strength of its manufacturing base. U.S. foreign economic policy achieves greater success when it is masked as a good neighbor or global citizen initiative. This angle effectively accelerates international acceptance and gets countries to do what they might not easily embrace. Moreover, the results are less vulnerable to foreign political swings that could reverse U.S. commercial gains. The Montreal Protocol, an international treaty, is a great example of this Realpolitik approach to trade policy. While protecting the planet’s stratospheric ozone layer was the official reason the Reagan administration embraced it, the aim of advancing the treaty was as much to exploit U.S. global leadership in innovation. American industry had developed substitutes to ozone depleting substances before many of their foreign competitors. With the imposition of a regulatory global framework largely informed by U.S. standards and technologies, American companies in the Heating, Ventilation, Air Conditioning, and Refrigeration sector, or HVACR, have dominated foreign markets for roughly thirty years. To some conservatives, this sounds anti-free market. But in the world of power politics, it’s the true embodiment of “America First.” Globalism is a good thing when America can use international institutions to project U.S. power. 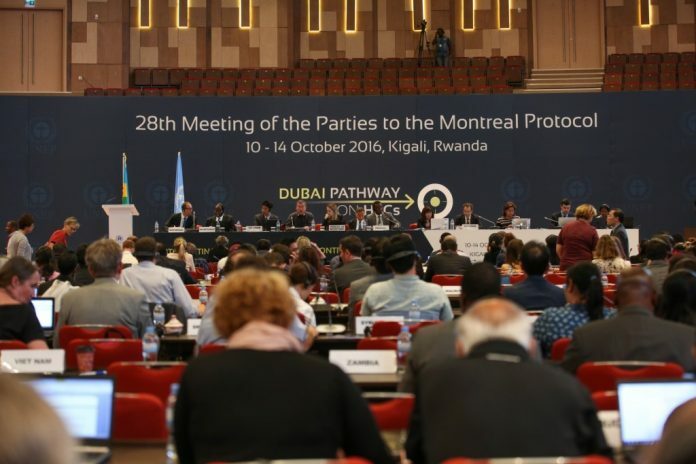 The Kigali Amendment to the Montreal Protocol, which is currently being considered by the Trump White House, represents a golden opportunity to further this strategy. It sets the pathway for international adoption of next generation American technologies to replace ozone depleting chemicals still in use by two thirds of the developing world, creating a cumulative $1-trillion market. In the last year of the George W. Bush administration, we advanced the idea of the amendment with the goal of promoting U.S. exports and protecting the domestic refrigerant industry, whose patents would soon be expiring, from the anticipated dumping of Chinese product. The HVACR sector is important to the U.S. economy, directly employing nearly 600,000 workers and contributing over $200 billion annually. Former President Barack Obama’s team resisted the Bush proposal at first, but later embraced it for climate change purposes. But from a Trumpian perspective, Kigali’s climate co-benefits are simply a bonus to be used to capture global markets for U.S. products. Some might question Trump’s level of support for a proposal that is related to greenhouse gases, but the president is not an ideologue on climate, despite his well-known skepticism of the science. He views any climate policy, including the Paris agreement, through the lens of its impact on U.S. manufacturing and competitiveness. And here, he has a winner. A recent industry study estimates that Kigali ratification would generate an additional 33,000 direct and nearly 120,000 new American jobs. Moreover, U.S. industry would stand to gain a 25 percent greater market share, allowing exports to more than double. Given the fact that ratification would help shut out Chinese cheap refrigerant imports, Trump will support it as an America First approach. Arguments that Kigali ratification might harm consumers are not well grounded. 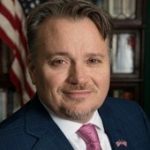 A predictable timeline for implementing the amendment would produce market stability and an outcome that would possibly eliminate any incremental costs to the consumer – a transition similar to flat screen televisions and cell phones. 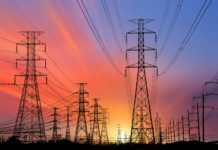 Consumer impacts would also be offset by energy efficiency gains, saving consumers money over the lifespan of new equipment. In any case, the president’s trade strategy, as we have seen repeated time and again with the imposition of tariffs, is driven by domestic job creation and preservation of the U.S. industrial base – not by consumer impacts. 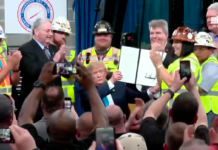 The president believes strongly that U.S. manufacturing strength and long-term economic health should not be traded away so that Americans can buy cheaper products in the short run. 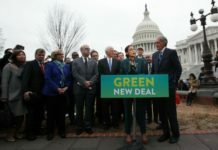 Many news reports have misled the public by simply calling the Kigali Amendment an “Obama climate deal,” when in fact it was begun under former president George W. Bush in large part for trade purposes. Consequently, people will be surprised when Trump announces his backing of the amendment and forwards it to the U.S. Senate for ratification. His move, however, is highly predictable if the Realpolitik commercial purpose of Kigali and the president’s views on trade and manufacturing are well understood. Plus, Trump will love the idea of winning against China on a trade initiative disguised as a climate deal. George David Banks is President Trump’s former adviser on international energy and environment policy. He won an EPA climate protection award from the Obama Administration, in part because of his work leading up to the Kigali Amendment.